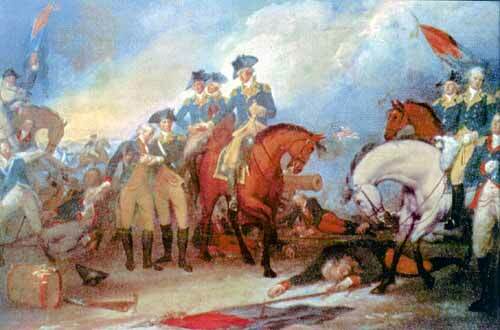 John Trumbull’s Capture of the Hessians at the Battle of Trenton shows Monroe wounded. He took a musket ball in the left shoulder. 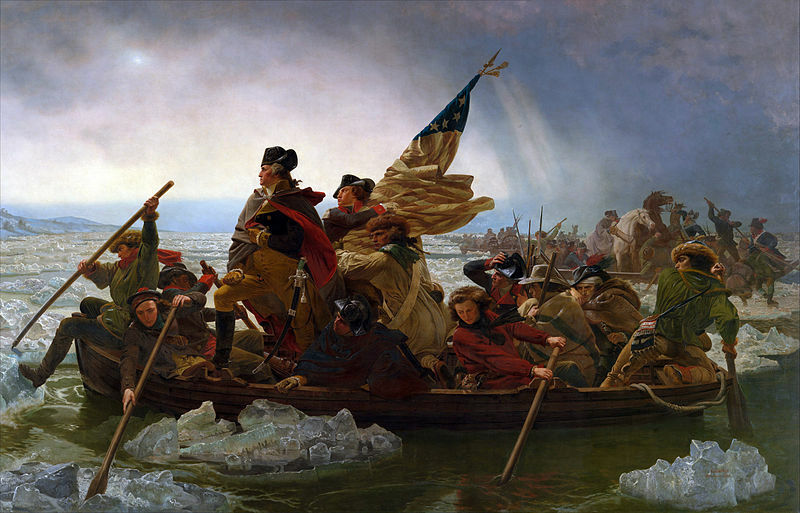 Washington Crossing the Delaware by Emanuel Leutze. Monroe is shown holding the flag. Not true: It’s not true that everyone loved Monroe – though he was an extremely well-liked war hero, statesman and President. He ran unopposed in 1820 and received every electoral college vote except one, which was cast for John Quincy Adams, his eventual successor. 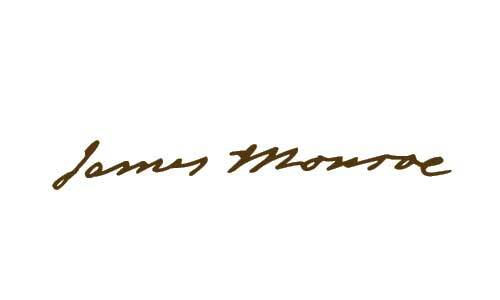 True: James Monroe died on July 4th – just like Thomas Jefferson and John Adams. Monroe was in favor of founding African colonies for the return of free African Americans. Those colonies would eventually form Liberia. Its capital, Monrovia, is named in his honor. Five states were admitted during his Presidency: Mississippi (1817), Illinois (1818), Alabama (1819), Maine (1820), Missouri (1821). On December 25, 1776, George Washington’s army crossed the Delaware River to attach a Hessian army camped near Trenton, New Jersey. Lieutenant James Monroe was one of two wounded; he was shot in the shoulder rushing an artillery battery. The Official Portrait: James Monroe was painted by Samuel F.B. Morse, circa 1819. Better known as the inventor of the electric telegraph, Morse was also the first professor of painting and sculpture for New York University.